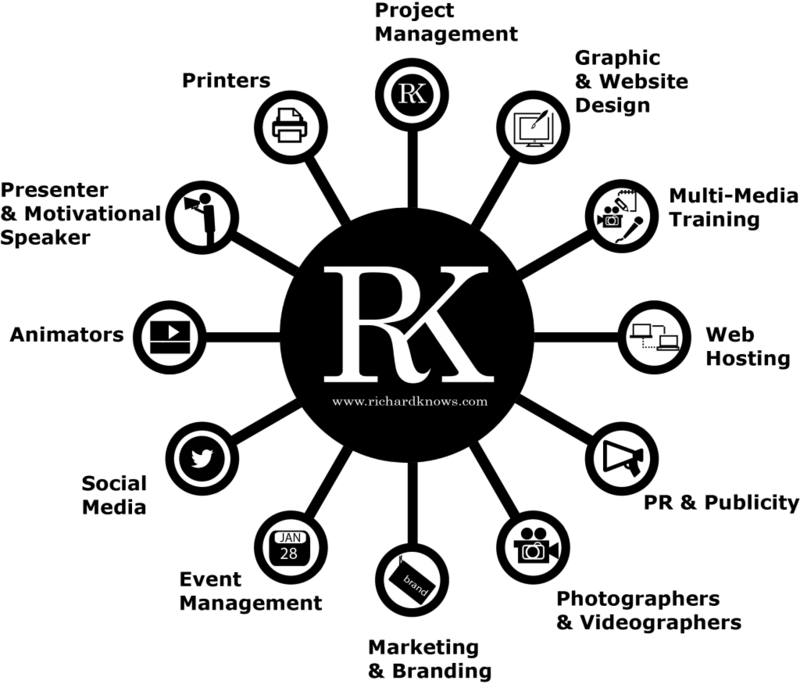 RichardKnows works with many businesses, organisations, charities, community groups and people. Richard Lynch offers many different types of services including public relations, communications and social media consultancy delivering nationwide campaigns. Richard Lynch of RichardKnows has almost two decades of experience in the PR and communications industry and will proactively position you, and your business or organisation, within the media for newspaper coverage, radio and television interviews, increase your online presence and manage all communications and event requirements. His biggest thrill is to give his client a platform to get the recognition and exposure that they deserve. As part of our services we ensure that our clients have the necessary tools and marketing mediums to build, develop and communicate your brand. Whether you need a refresher course to get your business up top in the world of social media marketing, or have just started up in the business world and need to avail of marketing & publicity 101, RichardKnows exactly how to help you. Richard Lynch is also the creative director and producer for any visual media your business ventures may involve. This knack for production extends itself from media to events, making Richard the obvious choice as an event manager to see your function through from the wine reception right to the fireworks that end the perfect event. Additionally, Richard is an inspiring motivational speaker, and a professional and charismatic presenter for any corporate or private function. Richard loves to work and lives for what he does.